When it comes to red lipsticks- not everyone feels confident enough to wear them. Maybe it is because for centuries red lips have been seen as a stamp of immortality and creating a plump,sexualised mouth was a sure ticket to hell. It wasn't untill the Golden Age of Hollywood that red lips came to be considered widely acceptable. 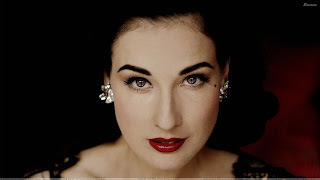 Starting with stars like Jean Harlow,Veronica Lake and Marilyn Monroe-and continuing with nowadays stars like Dita von Teese,Gwen Stefani,Kim Kardashian-everyone wears red lips. 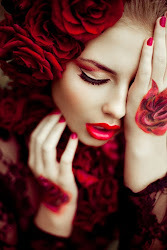 "RED LIPSTICK IS A SOURCE OF STRENGTH-says Poppy King(creator of Lipstick Queen). "YOU PUT IT ON AND SUDDENLY YOU FEEL MORE CAPABLE THAN YOU DID WITHOUT IT". Actually:wearing red lipstick is the easiest thing to do. Here are some important steps to follow. 2.PREP AND PRIME YOUR LIPS-don't forget the red lipstick enhances the dryness of the lips. Here are some stars wearing red lipstick and looking great. WHAT IS YOUR FAVORITE RED LIPSTICK?